Air Reliant (Pty) Ltd was established in 1994 to provide specialized sales, servicing and supply of spares for centrifugal and turbo air compressor equipment. Over the past 20 years we have gained valuable experience within the centrifugal market, Air Reliant boasts reverse engineering capabilities using its co-ordinate measuring equipment, which gives us the ability to manufacture complex items such as impellers, diffusers and bull-gears on our 3 & 5 axis machines. We also house our own general machine shop, which has 2 balancing machines, especially for the balancing of high-speed centrifugal rotor assemblies. Based in Johannesburg, using a dedicated team, we are able to offer a 24 hour day service anywhere within South Africa and with a quick response-time anywhere within Africa. Air Reliant (Pty) Ltd has a large holding of bearing coolers, impellers, and diffusers in stock and ready to supply. In 2014 Air Reliant (Pty) Ltd was bought out by Hansen + Genwest. By having a partnership with Hansen + Genwest, we have increased our footprint in Southern Africa, as well as in Africa. Air Reliant (Pty) Ltd is strongly committed to research and development and the technical innovative resources within the Hansen + Genwest global group. Which allows for the design, manufacture and supply of world-class products to the Turbo Compressor market. Fully machined impellers in 17-4 PH stainless steel for any Centrifugal or Turbo Machines with capabilities of reverse engineering such components. 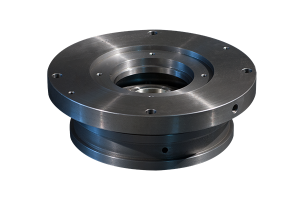 We have a four and five axis machining facility which enables us to manufacture impellers and diffusers for enhanced performance of centrifugal and turbo machines. We are capable of reverse engineering any impeller up to 600mm in diameter. We re-manufacture centrifugal and turbo machines to as new condition and latest specification. We have two “Schenk” belt driven balancing machines which cover balancing of rotor assemblies with a mass from two to seventy five kilograms. We have a number of “Service and Maintenance” contracts in place. This gives the customer peace of mind and the ability to focus on their core business. Contact ray@airreliant.co.za for more details on this service. Over the years we have gained the reputation of being one of the best in the market, we have repaired machines all over Southern Africa, as well as up in Africa and the Middle East. We understand the importance of getting quality parts and repairing a machine, first time. 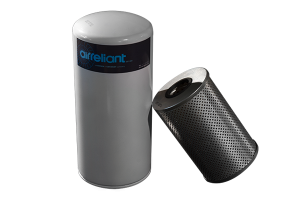 At Air Reliant we understand the need for constant and uninterrupted air supply. We offer 24 hour, 7 days a week, 365 days a year support and service. Within a 12 hour turnaround time. We are prepared to travel cross border and locally to inspect your machine whereby we can diagnose or advise the best and most cost effective way forward. Please contact us directly for more information on Oil Free Centrifugal Compressor rentals up to 3000 cfm and Screw compressors up to 1000 cfm. Air Reliant has its own 3D measuring equipment. We can do reverse engineering on Impellers up to 600mm in diameter. Over the years our Design Engineer, Pierre Jacobs, has accumulated a vast digital library of all rotating parts of Centac and Joy & Cooper compressors in Africa. Air Reliant does all their own balancing in-house on Schenk Controlled balancing equipment. We have the capability of balancing up to 90kg Roto assemblies. All the parts that we supply are imported from the USA and are guaranteed. In the same token we stand by all our in-house manufactured parts. All bearings are imported from the United States of America, where they are manufactured from the best materials and to the highest specifications possible for Centrifugal compressors. We can also offer refurbished and repaired bearings at a fraction of the cost of the new original part. 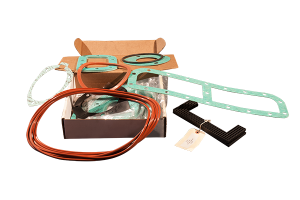 Air Reliant supplies all gaskets and “O Ring” kits for all Centac Compressors and Joy & Cooper Compressors. Filtration is very specific to each Turbo compressor. We carry a number of air- and oil filters in stock. Please contact us with regards to special pricing on intake box filtration. We can also do inspections and recommendations on the most efficient filtration for your compressor.